The Town of Prosper Parks and Recreation Department provides active and passive recreational opportunities for all citizens of Prosper in an accessible, safe environment, while promoting the preservation of the Town’s natural resources. Detailed list of park amenities. Frontier Park pavilion rental process. 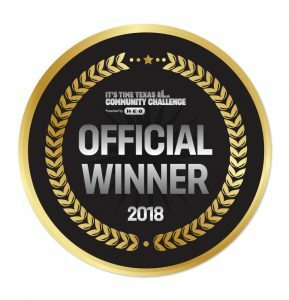 The IT’S TIME TEXAS Foundation named the Town of Prosper “Healthiest Small Community in Texas” and Community Challenge winners in 2016, 2017 and 2018!